Constantinople and the scenery of the seven churches of Asia Minor illustrated. In a series of drawings from natue by Thomas Allom. 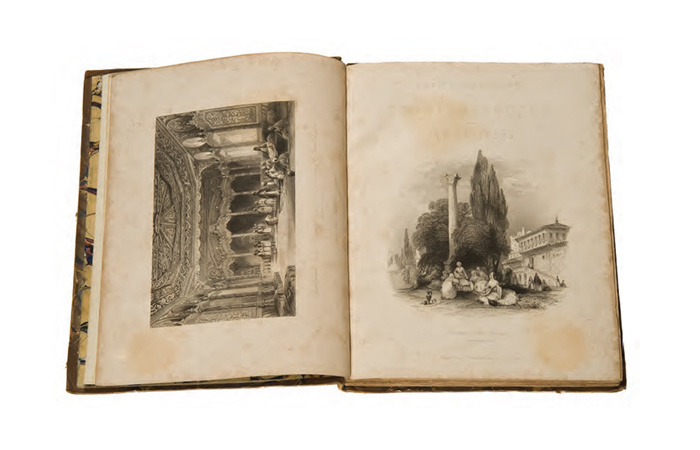 With an historical account of Constantinople, and descriptions of the plates, by the Rev. Robert Walsh. London & Paris, Fisher, Son, & Co., 2 cilt: c.1 - xxxvi, 84 s.,  planş; c.2 - 100 s.,  planş; 1 harita. Döneminin cildinde. Thomas Allom’un gravürleri ile ünlü İstanbul seyahatnamesi.